On Broadway and beyond, a curtain can rise as quickly as it can fall; a star can be swapped as easily as Bernie Telsey can say, “That’s enough.” Theater is the beating heart of New York show business and, if you want to make it here, it’s crucial you’re up to date on incoming projects, latest castings, and other industry news. Don’t worry, Broadway baby, Backstage has your back. Every week, we’re rounding up the can’t-miss stories no thespian should live without, so you can focus on important matters like hitting your high C. Curtain up and light those lights! 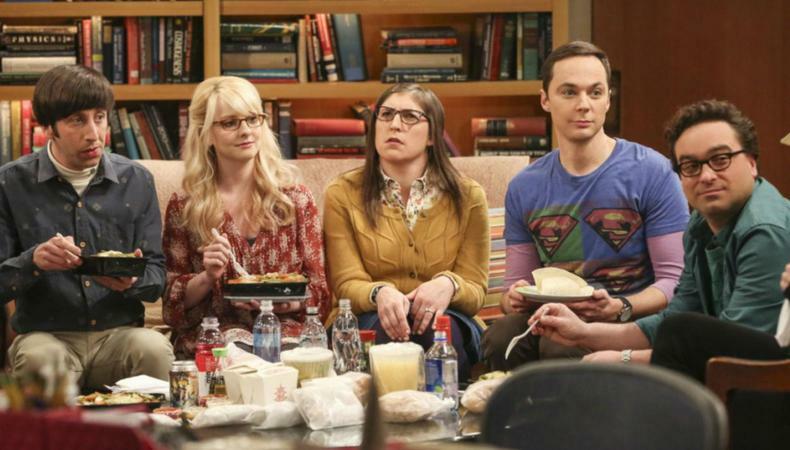 A big bang is heading Off-Broadway. The unauthorized parody musical will strike again. This time, it’s the (very) popular CBS sitcom “The Big Bang Theory” that will get the Off-Broadway treatment. “The Big Bang Theory: A Pop-Rock Musical Parody” will premiere at the Jerry Orbach Theater Feb. 28, beginning an open-ended run. The book, music, and lyrics will be handled by Karlan Judd, with direction by Trisan J. Shuler. Casting is currently underway, with additional creative team members to be announced. Tony Hawk is getting in touch with his artistry. Tony Hawk (yeah, that one) is at work on a new musical that’s making its way to Broadway. Hawk has signed on to co-produce and co-choreograph a stage adaptation of “SLAM,” the 2007 skateboarding novel by Nick Hornby, in which Hawk is a character. “SpongeBob SquarePants” Tony nominee Kyle Jarrow will pen the book, with Devo co-founder Mark Mothersbaugh on board to helm the music and lyrics. Additional creative team members are to-be-announced; the production is currently aiming for a bow during the 2020–21 Broadway season. What the Constitution means to Broadway. Broadway is getting a bit of a history lesson this spring. “What the Constitution Means to Me,” Heidi Schreck’s autobiographical hit, is moving uptown. The New York Theater Workshop production—which was so popular in its Off-Broadway run that it relocated to a second venue to continue performances—will open at Broadway’s Hayes Theater on March 31. Starring Schreck as she recalls her youth participating in Constitutional debate competitions, the limited engagement will run through June 9 under the direction of Oliver Butler. Schreck will be the only female playwright represented on Broadway this spring (including both new plays and revivals). She does wanna build a snowman. An exciting bit of casting news for Broadway’s “Frozen”: Beginning Feb. 19, Ryann Redmond will assume the role of Olaf in a rare instance of gender-swapping on Broadway. Redmond will be the first woman to portray the lovable snowman in any production of the musical. Greg Hildreth, who opened the show in the track, will play his final performance Feb. 17. The production also announced that its two leads, Caissie Levy and Patti Murin, have extended their contracts and will stay on as Elsa and Anna, respectively. A homecoming for Bess Wohl. Fleshing out its 40th-anniversary programming slate, Second Stage Theater has added “Make Believe,” a new play from Bess Wohl, who returns to the institution. Beginning performances in August at the Tony Kiser Theater, the drama will be helmed by “Dear Evan Hansen” director Michael Greif and will take “a look inside the minds of children, their parents, and the mysteries of childhood that haunt us forever.” Additional creative team members, as well as casting, are to come. Get live details from people at real auditions and callbacks on Audition Update! Casey Mink is the staff writer at Backstage. When she's not writing about television, film, or theater, she is definitely somewhere watching it.